Buckshot Black Assisted Opening Pocket Knife - Stainless Steel Blade, Wooden Handle Scales, Dual Thumbstuds, Metal Pocket Clip | BUDK.com - Knives & Swords At The Lowest Prices! 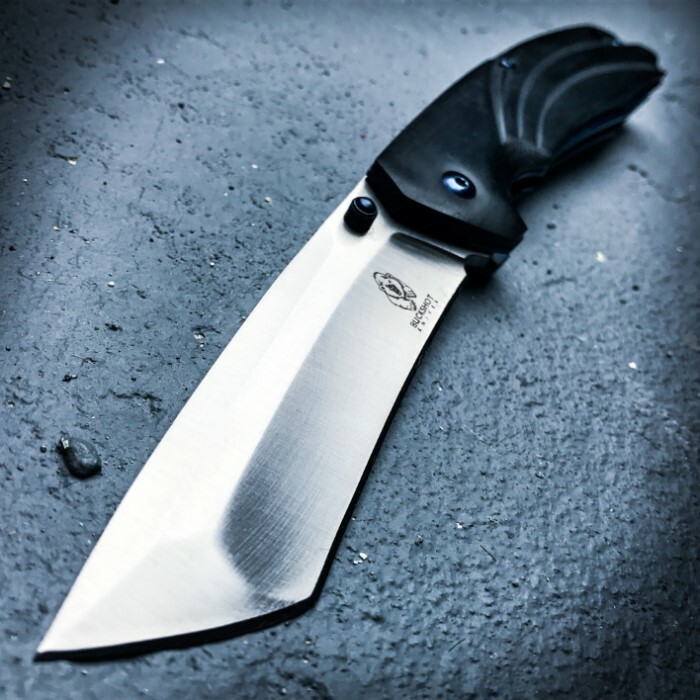 The Buckshot Black Assisted Opening Pocket Knife is a great all-round, all-purpose knife to carry for the day-to-day cutting tasks that come up. 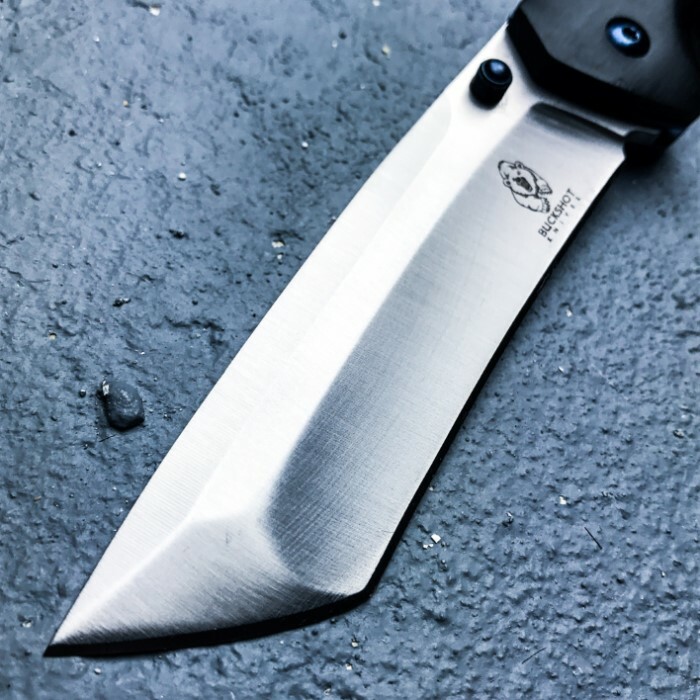 It has a razor-sharp, 3 3/4” stainless steel blade, which can be deployed with one of the thumbstuds to activate the assisted opening mechanism. The pocket knife has black wooden handle scales, secured with sturdy metal pins, and the handle features a lanyard hole. 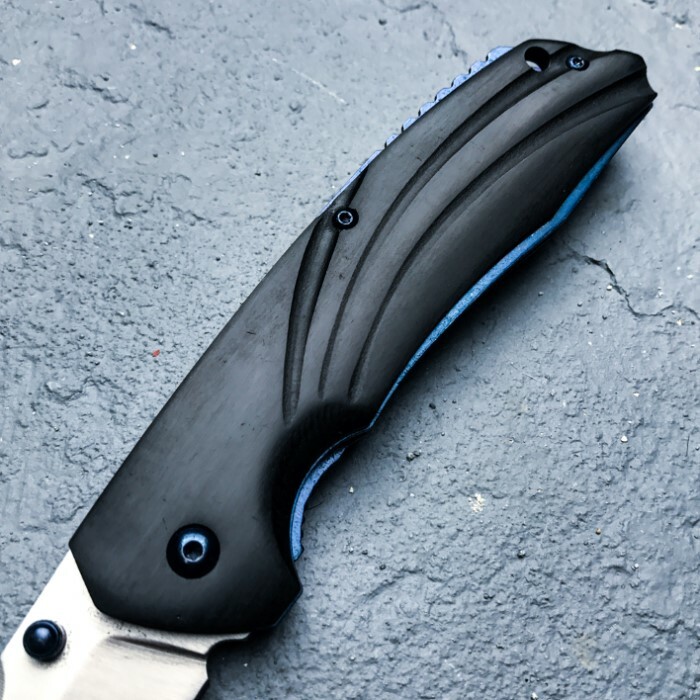 The thumbstuds, pins, liners and pocket clip are a gun-metal blue to complement the black of the handle. The everyday carry knife has a sturdy metal pocket clip, is 8 3/4” in overall length and it is 5” when it’s closed. 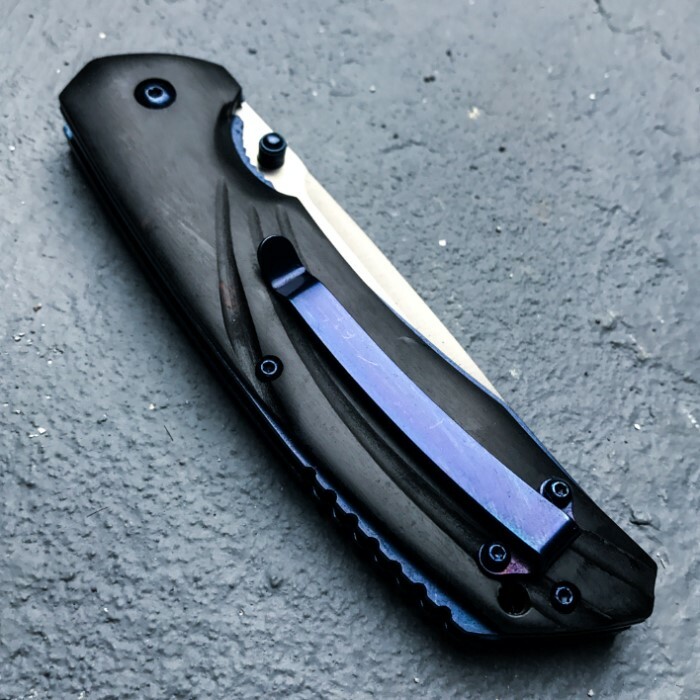 If you don’t have a reliable EDC in your pocket, get the Buckshot Black Assisted Opening Pocket Knife today! Great knife for the price,carry it every day and still holding a great edge.